Some of London's hottest R'n'B, Hip Hop, Soul and Ragga. 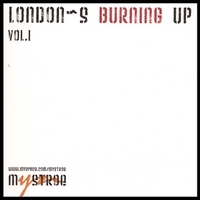 London's Burning Up is the compilation CD with some of the best of London's urban artists. If you would like to sample some of the flavas that have been blowing up on the London Underground as well as mainstream radio, this is the mix CD for you.